McGavin Roofing understands just how much damage a leaky roof can cause, which is why your home or building's valuables need to be protected. We specialize in roofing services for all roof systems. Our service technicians will investigate the cause of the problem and make the necessary repairs to keep your home or business fully protected. 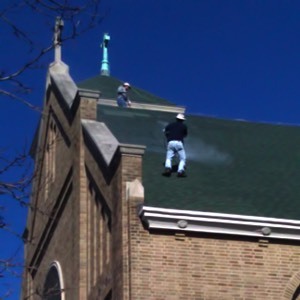 We handle all types of roofing repairs and our service department offers fast response to all urgent leaks, general repairs and warranty services. We understand that homeowners and commercial or industrial buildings require changes from time to time and we can install new roof penetrations when needed. Let us schedule and coordinate your NY or NJ roof repairs to return your roof to a sealed, watertight condition. Have a Damaged Roof in NYC or NJ? We Can Help!